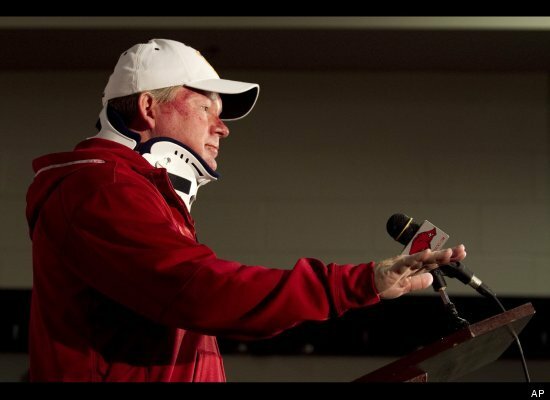 Last week, the Associated Press reported (via Huffington Post Sports) University of Arkansas head football coach Bobby Petrino, who was recently released from the hospital after a severe motorcycle accident, had been in the company of a 25 year-old women. Oh, did I mention Petrino is 51 and married? After withholding this information from school officials, Petrino is now on paid leave pending a review by Arkansas athletic director Jeff Long. The actions of a head coach, or any staff member for that matter, reflect on the the university brand. What was once thought to be a tragedy – a near-devastating crash, is now a clear demonstration of karma. But that’s besides the point. The real issue is not only was Petrino engaged in less-than-wholesome activity, he lied to Arkansas about it. The key to branding is never lie – you will always get caught. This isn’t to say a married, 51 year-old football coach with a 25 year-old on the back of his motorcycle would not have been scandalous if Petrino hadn’t kept that secret to himself. But, it wouldn’t have been such a surprise to his bosses. And in crisis communications, surprises are never a good thing. Moral of the story? Never lie, cheat or steal. But if you do, tell the truth about it sooner rather than later. PS. In this post, withholding information is the same as lying. Huffington Post Sports reported today that Petrino was fired for ‘misleading’ the University of Arkansas regarding his relationship with his mistress. Great move by Long. Oregon’s preseason opener against LSU is fast approaching. In the spirit of of the coming game, I decided to post a preview of what may come in my senior year at Oregon. The Oregon Ducks enter the 2011 season after making history with the school’s first ever appearance in a national title game, a second consecutive conference title and their best record in over a century. Their almost perfect season was certainly unexpected after suffering a series of offseason controversies leaving the team without their star quarterback in 2010. A lot has changed since then, but one thing that has stayed consistent is the offseason antics. Both Cornerback Ciff Harris and linebacker Kiko Alonso are suspended for a minimum of one game and the football program has fallen under investigation by the NCAA for its dealings with a Houston-based recruiting service owner, Willie Lyles. While the NCAA decides their post-season fate, Oregon will need to live up to the hype built up over the past year. This season the Ducks will lose star linebacker Casey Matthews, now playing for the Philadelphia Eagles, and wide receiver Jeff Maehl. Despite those key losses, the team should maintain its speed and agility with returning running backs Kenjon Barner and 2010 Heisman finalist LaMichael James as well as quarterback Darron Thomas. Chip Kelly and the Oregon Ducks would like nothing more than to prove themselves once again by winning the first ever PAC-12 conference championship and having a second chance at the BCS National Championship. The Ducks’ returning quarterback Darron Thomas has the confidence he didn’t have a year ago. Last offseason, Thomas was pitted against upperclassman Nick Costa to win the starting quarterback position. Having won, he led Oregon to the National Championship. Last season he passed for 2,881 yards and 30 touchdowns. Thomas now has the confidence to throw more and rely less on the speed of his running backs, which is good because it’s about time most of their PAC-12 competitors have their routine down straight. It’s Thomas’ job to change up their offense and make it unpredictable again. That isn’t to say that James and Barner will contribute any less than in previous seasons. In the 2010 season, James lead the country in rushing with 1,731 yards and 21 touchdowns, averaging almost six yards per carry, while Barner for 551 yards and six touchdowns, averaging over six yards per carry. The speed of the Oregon offense isn’t going anywhere. Wide receiver Josh Huff was a huge asset last year as a true freshman, averaging almost eighteen yards per carry, but will need to step up even more this year to fill the shoes of alum Jeff Maehl. Tight end David Paulson will also round out the Ducks’ experienced offense catching for 418 yards last season and four touchdowns. If the offense line is able to stay strong after losing three starters, the offense is solid. But that’s a big “if.” The younger players will have the pressure of building the cohesiveness and leadership of previous seasons all before their first game. But with the addition of true freshman wide receiver Tacoi Sumler, a four star recruit out of Miami, FL and one of the fastest (if not the fastest) prep football recruit in the country, filling Maehl’s shoes shouldn’t be a problem. This team led the conference and the nation in points per game (46.8) and yards per game (530.7), and should be just as remembered, but perhaps a little quicker and not as predictable. In the 2010 season, Oregon’s defense ranked twelfth in the nation allowing only 18.7 points per game. Leaving the Ducks are key linebackers Casey Matthews (79 tackles – 37 solo), Spenser Paysinger, now for the New York Giants, Kenny Rowe, now for the San Francisco 49ers. This is going to be a young group of players, and they’ll all need to step up and give the offense what it needs to stay in control. Last season, defensive coordinator Nick Aliotti rotated between 25 linebackers. So a lot of the players that will need to step up will not be new to Oregon, just new to the starting line. The Ducks have also added five true freshmen and three red-shirt freshmen to the lineup. Over the past few seasons, the Ducks’ defense has been regarded as the weak link but on their road to the national championship, Oregon stepped up and showed the country this wasn’t a team relying totally on their running backs. Regardless of their missing starters, the Ducks should be able to fill the gaps and keep on improving. The Ducks we extremely fortunate in the 2010 season; opening the preseason with a matchup against New Mexico wasn’t exactly a challenging one. The team was coming off an embarrassing loss to Wisconsin in the 2010 Rose Bowl and needed the kind of confidence boost that season opener supplied. This year, Oregon isn’t as fortunate. They open the preseason against fourth ranked LSU at Cowboy Stadium in Arlington, TX. Autzen Stadium has been consistently ranked in the top ten most intimidating venues, but the Ducks don’t always thrive on a national stage. They’ll also be missing defensive players Alonso and Harris due to suspensions for the LSU game. The Ducks, ranked third, will need to win this game if they want a repeat appearance in the BCS National Championship. After the LSU opener, their schedule looks pretty typical. The Ducks will open conference play at Arizona, which was far from the friendliest venue two seasons ago. Luckily Oregon’s three toughest PAC-12 opponents are late in the season, allowing them time to prepare for what can be considered unknowns right now. Oregon will have to face their biggest PAC-12 threat, Stanford, lead by Heisman finalist Andrew Luck at Stanford Stadium. Not ideal, and Stanford will be a different looking team under new head coach David Shaw. Closing out the season with the civil war against Oregon State at home will be a huge advantage; especially if the Ducks are coming off a couple victories against Stanford and USC. Starting out the season with likely the toughest game they’ll play all season will be a tell tale sign of how far the Ducks have come in the offseason. Stanford will be the ultimate test of their strength at the end of the season. These benchmarks will likely reveal the fate of Oregon’s post-season play. The Ducks, in the past, have thrived as the underdog, but that is no longer the case. After their birth at the BSC National Championship, the team needs to find that hunger they had when they had to prove themselves to the world. Now that they’ve proven themselves, can they live up to the hype? Their offseason controversies provide a chance for their usual “it’s us against the world” mentality to supersede the others and might just be enough to meet great expectations. Last week Yahoo! Sports broke the news that University of Miami football booster, Nevin Shapiro, admitted to providing thousands of benefits to at least 72 athletes from 2002 to 2010 seasons amounting to several millions of dollars. Shapiro has also recently been incarcerated for his role in a $930 million Ponzi scheme. Nine former Miami players and one former coach have corroborated Shapiro’s claims. And when Yahoo! Sports asked him why? I’ve watched ESPN’s 30 for 30 series, and I have to say one of my favorites was “Pony Excess,” the documentary of the rise and fall of SMU. It is still unknown what kind of fate Miami awaits, but several have predicted the death penalty that struck SMU in the late 1980s. For those that don’t know, the death penalty is the harshest punishment any NCAA member school can receive and it’s only been given five time. Ever. Simply, the death penalty bans a school from competing in a specific sport for at least one year. SMU had been on probation five times in the nine seasons leading up to the death penalty and continuously lied to NCAA officials. Which goes to show that honesty really is the best policy. Although Miami is reported to be cooperating fully with the NCAA, I don’t know if it can be saved. At a certain point the honesty policy can no longer help you. Only time will tell what will happen to Miami’s football program. With the offseason almost over, their limbo state is likely coming to a close. Yesterday afternoon marked the first completed PAC-12 media day. Now, more than ever, there is little to differentiate pro and college football. The biggest of controversies discussed was the investigation of University of Oregon’s dealings with a Houston-based recruiting service owner, Willie Lyles. The article also reads that in a statement sent out to program supporters by email last Friday, Oregon Athletic Director Rob Mullens said the Ducks have retained a law firm to assess the $25,000 payment to Lyles for an apparently outdated scouting report last year. In an ESPN recap of the media day, Ted Miller interviewed Bruce Feldman about the current happenings of the PAC-12. In the interview, Feldman makes a comment about Oregon delaying their response to the accusations to defuse the situation as much as possible. Is this an effective tactic? Yes. Unlike Tennessee, Oregon is not punishing themselves prematurely, but as far as they know, they’ve done nothing wrong (That’s their story and their sticking to it!). The fact that Oregon has retained a law firm to independently examine their payment to Lyles shows that the program is proactively investigating the situation. You can’t comment on something if you don’t know happened for sure, and I commend Chip Kelly for not trying to. PS. Sorry if this post is bias in your eyes…ALL HAIL CHIP! Last week, the University of Tennessee announced a two year self-imposed probation for the schools athletic department. This was in response to the NCAA’s Notice of Allegations on May 20. Tennessee is still awaiting ruling on the twelve major infractions. My question is, do self-inflicted punishments work? They can, if executed properly. Here are a few dos and don’ts when it comes to the kind of crisis communications colleges and universities have become so familiar with lately. 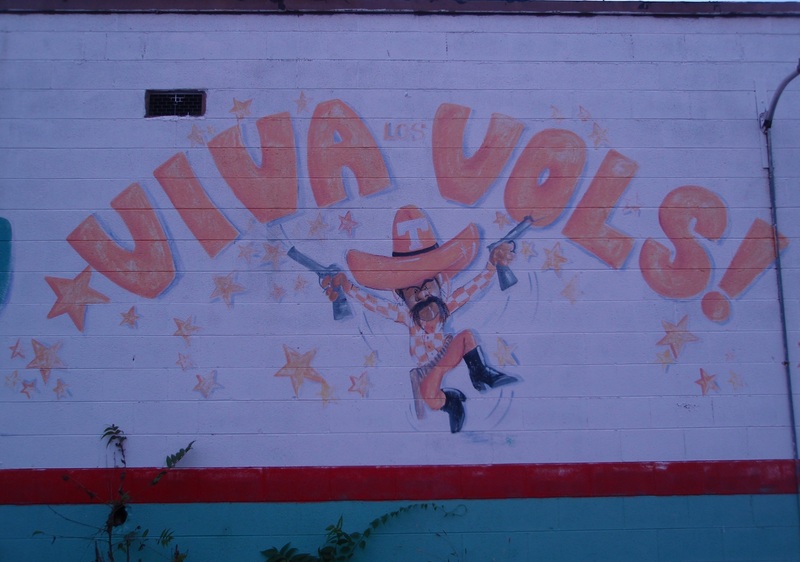 Speed of response – Tennessee was quick to take responsibility for violations. That is not always the case. A quick response shows that you are paying attentions and eager to fix problems within your organization. Admitting guilt – The university went above and beyond expectations here. They are not only willing to accept charges for violations, but also willing to punish themselves for their own mistakes. In doing this, I would think it is a good possibility that the NCAA may reduce their infractions to applaud UT for their voluntary probation. But even if they don’t, they still look good. Placing blame – Don’t do it. Tennessee didn’t once complain that violations were committed under the supervision of a now Trojan and by others that have now left the program. This could have been rewarded by the NCAA’s charge of Kiffin individually, separate from the school. Charges against Kiffin are not likely to disappear anytime soon. He is expected to be sidelined for several games at his new USC home (an almost insignificant problem for USC compared to other sanctions they have faced recently). University culture – This incident shows that there was little control and supervision going on in the athletic programs. Because of Tennessee’s actions regarding my previous three points, it has given the impression that there are great changes going on in this department. Schools can no longer rely on their coaches to enforce and educate their staff on NCAA rules. Coaches are put under immense pressure to perform and attract the best players in the country. But every school’s athletic department needs to have a crisis plan. And whether Tennessee had one prepped or not, it performed beautifully. I just started interning for the second summer at a small PR firm in San Francisco, so forgive me for abandoning my blog for a week. Now that’s out of the way, lets get down to the nitty gritty that is college football. I read an article when I got home today; it was ESPN‘s report of some heartbreaking news. Wednesday, Oregon football coach Chip Kelly released a statement announcing the indefinite suspension of cornerback Cliff Harris. All because this kid (and I’m allowed to say kid because I’m older than he is) can’t keep it under 100 mph. The 20 year old was cited Sunday morning after police clocked the player going 118 mph with a suspended license in a rental car. There are so many things wrong with that last sentence. Suspended License – Why did he have a suspended license? What did he do originally to get it taken away? 118 mph – Seriously? The main highway going through Eugene has a 55 mph speed limit. Rental Car – This could be a lie, but I thought you needed to be 25 to rent a car. Never mind the fact that you need a license (this I know to be true). The car was said to be rented to a university employee, which just opens a whole different can of worms that I don’t want to even think about. I can’t help but think this is the straw that broke the camel’s back. The same day, ESPNU posted a podcast discussing the state of college football after a rather turbulent offseason. Amongst the talk, interviewee Pat Forde suggests that some of the controversies going on in college football today have probably been going on for a long time and are just now being brought to light. Host Ivan Maisel, in response to Forde’s comment, brings up the fact that information is more readily accessible than it has been in the past due to the emergence of social media, which could explain the exploding of controversies this year. But is this an excuse? Social media can make you, and it can certainly break you. First impressions are no longer made over the phone or face-to-face, but rather via Facebook “stalking.” I will never forget my first day of J452: Strategic Public Relations Communications when my professor started off our first class with a slideshow, one slide per student. She revealed what anyone and everyone (including future employers) could find about each of us on the web within ten minutes. Some weren’t so bad, some were pretty bad and some were worse. Yes, it’s harder the shield ourselves from the world because everything we do is online, kept forever in the intangible nothingness of the Internet. But that’s no justification. Maybe if we were older, using our first computer and just started to learn about that thing that can find all the answers (Google). But we’re not, and by “we” I mean me and all those athletes making mistakes. I got my third laptop at eighteen. I’m not sure I can remember what I did with my free time before Myspace and Facebook came along. The irony of all these social media-induced scandals is, they’re all coming from those who’ve grown up in the digital age. One would think we’d know how to use social media the way it’s meant to be used. Psych. Chip Kelly said something in his statement that really stuck with me. Cliff’s future clearly is in Cliff’s hands. Earning an opportunity to represent the University of Oregon and this football program certainly rests far beyond a player’s ability on the field of play. Our behavior out of the spotlight often is more important and will be held to a higher standard. Until Cliff is able to conform to the same standards all of us must comply with, his status will remain unchanged. For some reason, these words really reinforced my faith in the Ducks. Perhaps it is the fact that this team has a leader that truly understands the meaning of a team and the environment we live in today, the digital age. These players are given more than they probably ever dreamed. They are the heroes of a small town that worships one thing: the duck. With great power comes great responsibility. But amid all the praising, winning and inflating egos, Kelly is still able to understand that today, the spotlight is never out; get used to it; adapt. Breaking college football news: Quarterback Terrelle Pryor won’t return to Ohio State for his senior season. I watched a video posted on ESPN today featuring ESPN College Football Insider Joe Schad’s comments on the situation. He said he wasn’t surprised and there has been talk that Terrelle Pryor has been blamed by teammates for the late departure of coach Jim Tressel. This got me thinking about how one bad decision can change everything. Although Pryor made a few bad decisions, not just one, it goes to show that lying never gets you anywhere. The scandal at Ohio State lead to Tressel’s painfully long demise. But is Pryor responsible for that? When it comes down to it, the athlete follows the advice of a coach, not the other way around. Blame for the famed coach’s resignation should not be placed on Pryor but on Tressel himself. But none of that even matters because once you lie, and the truth comes out, no one will ever trust you as a teammate or anything else. Things are not looking up for Ohio State or Terrelle Pryor and the only thing I can say to that is, thank goodness he didn’t come to Oregon. Today, Ohio State football coach Jim Tressel resigned after NCAA sanctions have paralyzed the school’s once thriving program. Musburger is right. I’ve heard it so many times in my PR classes. People are more likely to forgive a brand that takes responsibility for its actions than one that tries to cover something up. Someone who makes a mistake and apologizes is forgiven and forgotten (or remembered in a positive way). Someone who makes a mistake and lies about it is always found out and always remembered as one who can’t be trusted. “I think Ohio State is one of the best brands in college football; they will get past this but it may take them a few years,” Musburger comments. I’d like to say I think the NCAA crackdown in a good thing. It seems in recent years, there is not much separating college and professional sports. Who is really at fault in most of these situations? The school for offering benefits or the athlete for taking them? Well, the answer is both. But the real question is, who suffers the long-term consequences? The school does. If the player is worth the rewards (not to say I’m condoning this), they’ll probably go pro. And did giving back the Heisman really hurt Reggie Bush’s career? No. After it’s over and done, professional teams don’t care if an athlete did shady things. But the school is punished for seasons to come. It will take years to recuperate from the damage a sanction can cause. So is Tressel resigning a good thing? Well, it’s too late for him to reconcile is damaged image, but yes. it shows the world of professional sports, a school can just about loose all the merit its got at the drop of a hat. Last week (sorry for the delay) it was announced that ESPN and FOX signed a 2.7 billion dollar twelve-year contract with the PAC-12. As a duck myself, this is huge! This literally means that ESPN and FOX will pay the PAC-12 for the exclusive broadcasting rights to its games starting next school year. In an ESPNU College Football podcast, Ivan Maisel and Beano Cook discuss the largest broadcasting deal in college sports history. Us west coasters have felt underrated for decades with the belief that media tend to give more credit to east coast college sports teams and less to west coast schools. For example, when Oregon played Tennessee in the 2010 pre-season media favored Tennessee even though Oregon was ranked much higher in all the polls. So Maisel asks the question, does this deal mean the infamous east coast bias is no longer? Getting a contract like this brings in tons of money to each school in the PAC-12. In fact, this deal will nearly cover all University of Washington’s costs of building a new football stadium. This money will never be spent on a professor, new computers or anything to do with a college classroom. College athletics is a business, and as Cook says, the only difference between college sports and professional sports is that professional sports get paid. And lets be real, can we even be sure of that anymore? But all this scandal and money surrounding college athletics today only means one thing for public relations professionals: job security. As if the the suspensions weren’t enough. The Columbus Dispatch reported yesterday that Ohio State University’s chief enforcer of NCAA rules will investigate used-car purchases made by dozens of OSU athletes at two Columbus car dealers to see if any sale violated collegiate rules. “We’ll take a step back, we’ll take a look at the transactions and the values, and we’ll make some determinations in consultation with the (Big Ten) conference office and go from there,” said Doug Archie, associate athletic director and head of compliance at OSU. “I have nothing to believe a violation has occurred,” he said. Where do we begin. The article explains that 50 sales will be investigated including the eight athletes and eleven athletes’ relatives who bought cars from Jack Maxton Chevrolet and Auto Direct during the past five years which was uncovered by The Dispatch earlier. Two dozen of the sales to be investigated were by Aaron Kniffin who worked for both dealerships. The Dispatch reports that public records from 2009 reveal then-sophomore linebacker Thaddeus Gibson was titled a 2-year-old Chrysler 300 with less than 20,000 miles for a nice purchase price of $0. What does Archie mean, “I have nothing to believe a violation has occurred”? Isn’t Kniffin being a common thread something? Aren’t records showing a car was given to Gibson something? Crisis communications started the second The Dispatch uncovered the sales records. There is a difference between saying “no comment” and “I have nothing to believe a violation has occurred.” It feels like I’ve said this a million times, transparency is the best policy, and if there are questions you can’t yet answer, say what you are doing something to find out the answer. And since the hits just keep on coming for Ohio State, Archie should probably learn what this transparency thing is all about.